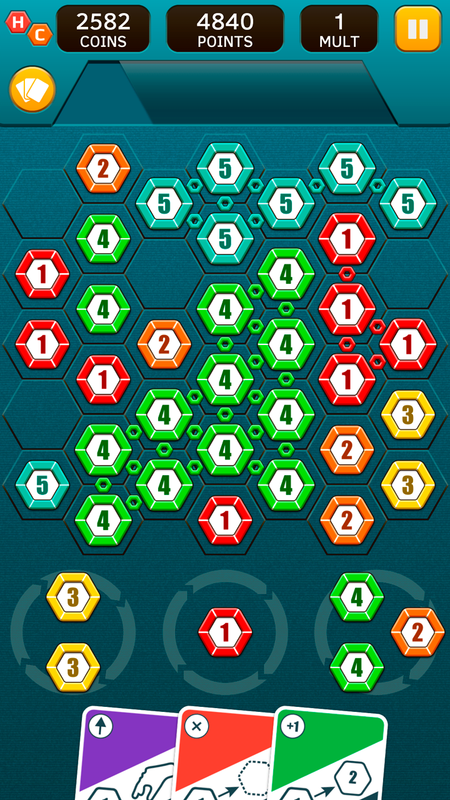 Create and match chains of same chips on hexagonal game field. Place and match 4 or more chips with same values to earn a more valuable chip. 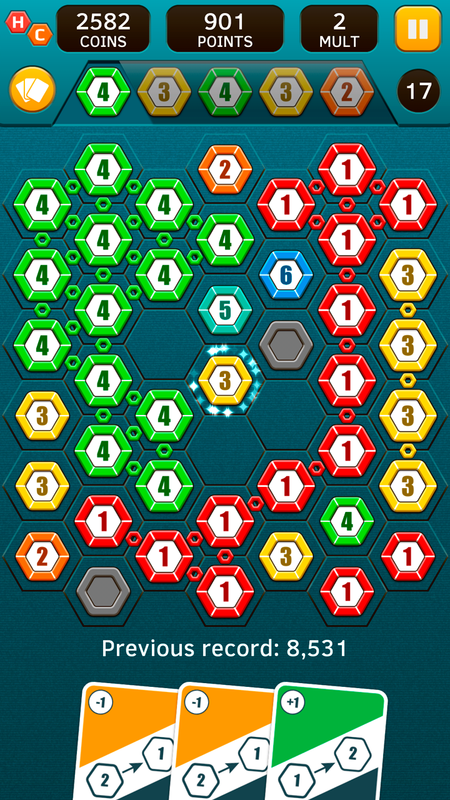 Chain together matches to get bonus score and bonus cards! Play cards to transform one chip to another, to remove undesirable chips, to change chip place and maximize your score. After you place your chip the dealer places his chip. 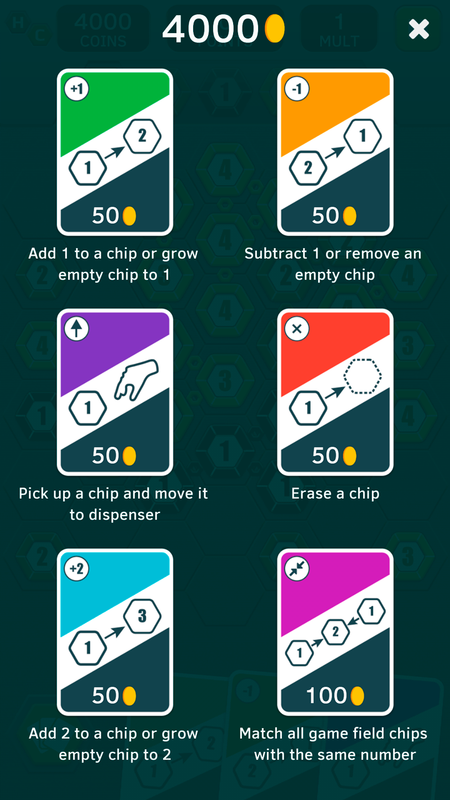 Sometimes the dealer places empty chips, these chips can’t create chains, you can only remove them or transform them into other chips with help of cards. Earn coins to spend on cards, upgrades, bigger cards count you can hold and more. Unlimited: Unlimited chips, you can play as long as you can make moves. When there is no move you can use cards to make more space for your moves or transform some undesirable chips to chips you need to make a move. Short: You have only 48 chips, place them with care and try to make your best. But remember that when you get enough coins you can unlock 6, 12 or even 24 additional chips in this game mode. Figures: Place figures of chips on game field to create chains. Rotate figures to find better place for them. Use cards to survive as long as you can.